Arbor Hills provides JUMBO sized trees set with a tree spade. 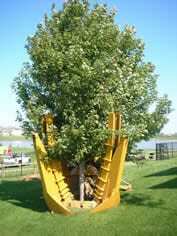 We access both 50” and 90” trees spades. As a good rule of thumb, to successfully transplant a tree you need 10” of spade for every 1” caliper size of the tree trunk. 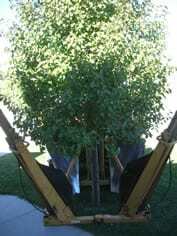 We move most of our trees in early spring or late fall. It is best to move the trees when they are dormant. We do move many trees when they are actively growing by chemically treating them before the move to reduce transplant shock. All of our spade-planted trees carry a full 1 year replacement warranty. We are not responsible for any sprinkler system damage, yard damage, driveways or sidewalks. If you are interested in JUMBO sized trees, your site will need accessibility for large truck(s). Listed below is our unit pricing. The pricing is all inclusive. 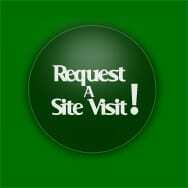 We will be happy to come out to see your site and make suggestions for successful transplantation of your new tree. 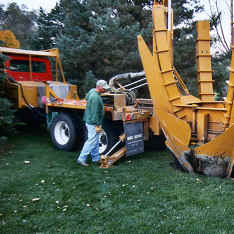 Prices include trees, labor and spade fees, if job site is within 20 miles of Omaha. Job sites beyond this limit will be charged $1.00 per mile for spade fees.